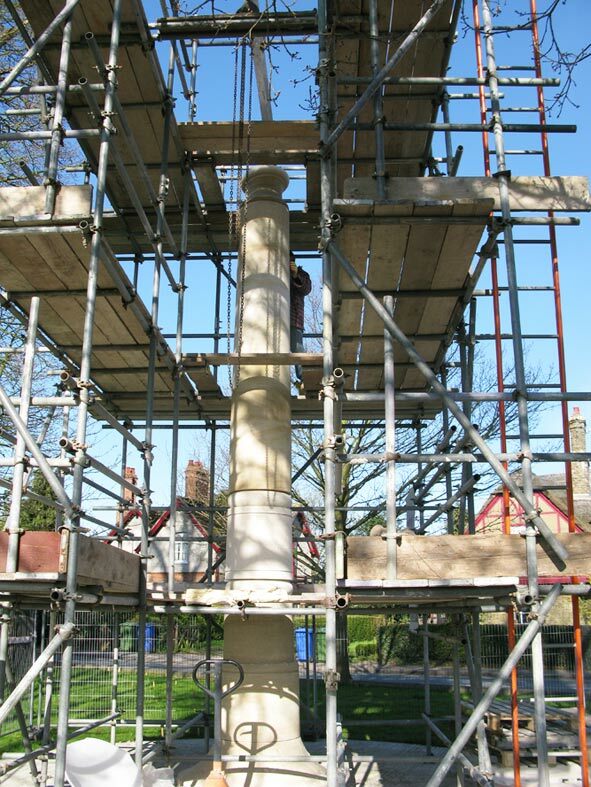 The picture (left) shows the competed stonework as the finishing touches were applied to the pointing. Although still enwrapped by scaffolding, the effect of shadows from the trees on the stone already suggests a perfect choice of material and site. 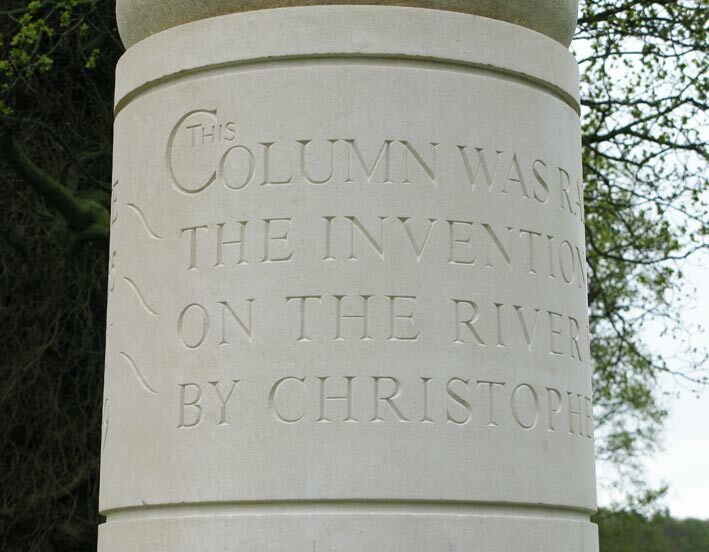 The spring of 2010 came late, but behind the bleak scene on the Hovercraft Column site, a lot of progress had been made in the winter months, see Column Stonework page. 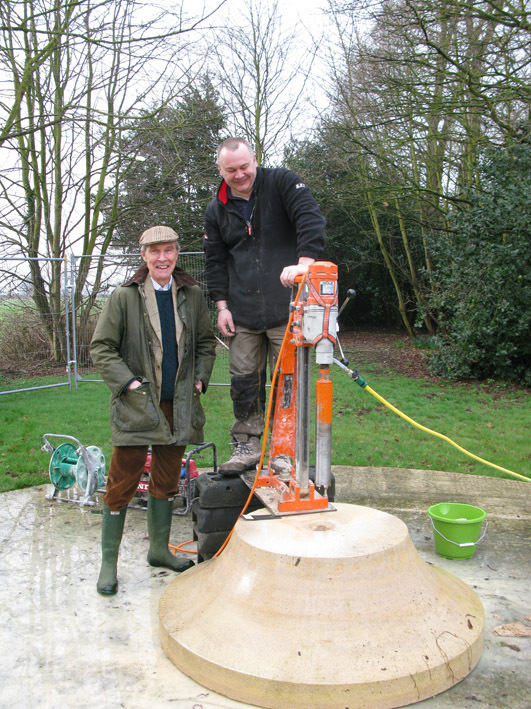 Ryan Brunt, see pic left, from Wells Cathedral Stonemasons pauses for a picture with James Airy (left), while preparing the base stone on site as construction begins during April. As other sections arrived, excitement grew as the Hovercraft Column concept became reality. Although long anticipated, suddenly, it was possible to see how perfectly it suited the corner site with its sweeping boundary. A curve faintly delineated by a mellow and ancient red brick wall that was reduced in height some fifty years ago to improve visibility for road traffic, it is now being restored.